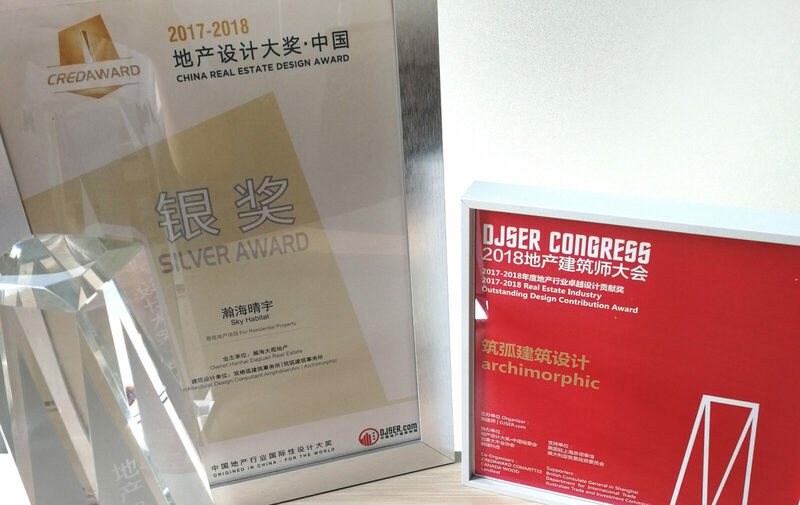 After a fierce competition, Hanhai Qingyu Luxurious Condominium won the Silver Award for Design of the year – 2017-2018 China Real Estate Design Awards. And Archimorphic won the Outstanding Design Contribution Award. Qingyu Luxurious Condo is an award-winning project designed and completed by Archimorphic and amphibianArc. The China Real Estate Design Award is one of the most credible design awards in China. The competition received 658 entries by 214 participating institutions and from China, Hong Kong, Taiwan, USA, UK, Germany, Japan, Australia, Singapore, Canada, Denmark, Peru and other countries and regions. 292 works of 156 institutions were shortlisted for the total 10 Golden and 10 Silver for Design of the Year Award.